West coast dancers, I’m coming for you. Let’s sweat, get inspired, and have some FUN! Teaching tap dance and musical theatre master classes at Groove Street Productions dance convention all weekend long near Vancouver this November, with an INCREDIBLE faculty you won’t want to miss. Surrey BC is where it all goes down! Shawn Byfield teaches the next generation of dancers. Hey teachers, a little encouragement can go a long way! Never underestimate the power of your words with your students. The words that come out of your mouth matter. I know sometimes it doesn’t feel like it… But some of it will *actually* stick! Encouragement is always memorable. So try your best to make sure whatever you DO say, sticks for the right reasons. I LOVE hearing good news from my dancers and friends. Just found out one of them made the callback for Argos Cheerleaders! Out of 165 girls fighting to get paid to dance, do community work, and cheer on Toronto’s Grey Cup winning team, she’s in! PLUS: one of my friends, after shadowing me, improving her presentation skills and contacting the right people went from adjudicating ZERO competitions to judging 8 events this year. Zero to hero, just like that! I’m so very proud of you girls, you worked your BUTTS OFF. I know you wanted this, and I believed in you. Still do, it isn’t over! I’m honoured to be part of a winning team. Those are just a few stories. Now on the flip side, if only everyone actually listened to me, ugghh. Because of the world’s simplest, easy-as-pie, doesn’t-require-a-scientist, actionable two steps (ONLY TWO!) they performed with Michael Jackson, Britney Spears, Janet Jackson, Stratford Festival, Disney, Broadway, major movies and more. They get to share their passion with the world, and bring in many tens of thousands of dollars. The BIG bucks. Dance and get paid? Trust me, it’s not a bad deal. …YOU just need to invest the time and resources to get there. Your investment always pays off in the end- IF YOU WANT IT BAD ENOUGH and you’re willing to shut up, put your ego aside, and work with someone who can ACTUALLY get you there. 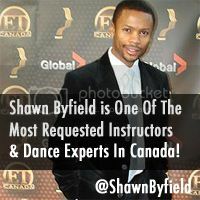 As a sought-after dance choreographer, performer, presenter, coach and entrepreneur, Shawn Byfield’s unique perspective is enjoyed by thousands who dance, train and mentor with him every year. To get your group learning, yearning, movin’ or groovin’… contact Shawn before today ends! 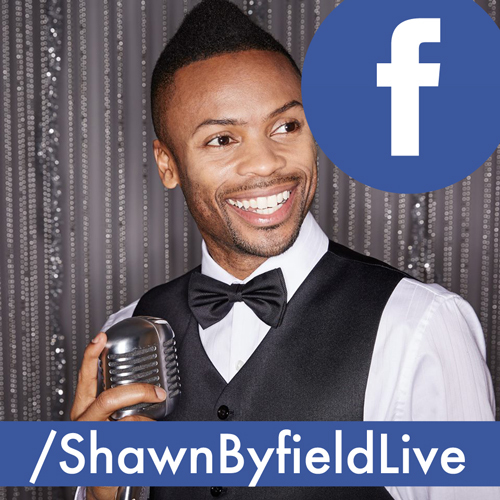 Email Shawn@ShawnByfield.com right now. Impatient? READ THIS… How Does This Popular Movie Quote Relate To Your Current Life? Two hours ago I was at home in my underwear. 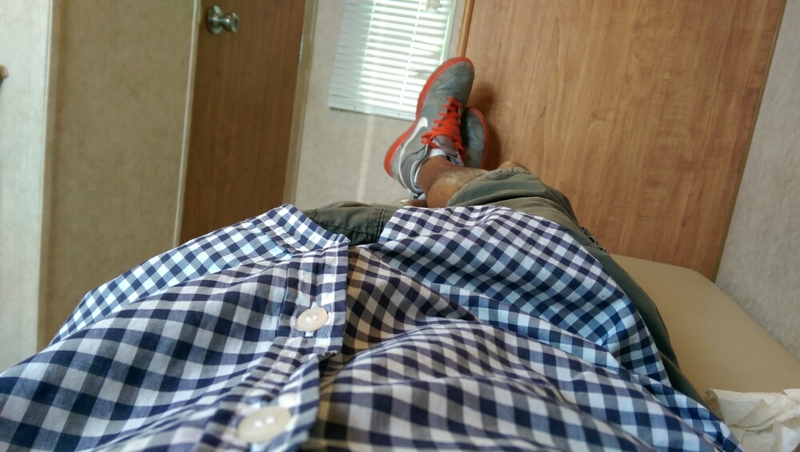 Now, I’m lying down comfortably in my honeywagon, after a major movie production sent a driver to pick me up and bring me to set. Yup, I’ve been requested. If you want it, you have to PREPARE for it. I’m constantly striving to become the person I am capable of being. Working hard is NOT the same as working smart. Understand the difference, then do both! Sometimes that means late nights or earlier mornings. Many times it requires doing something that makes you uncomfortable. Everything you want in life is just outside your comfort zone. …Then be patient. You might not see instant success but you will reap the benefits in the future. Wait for it. It’s coming! 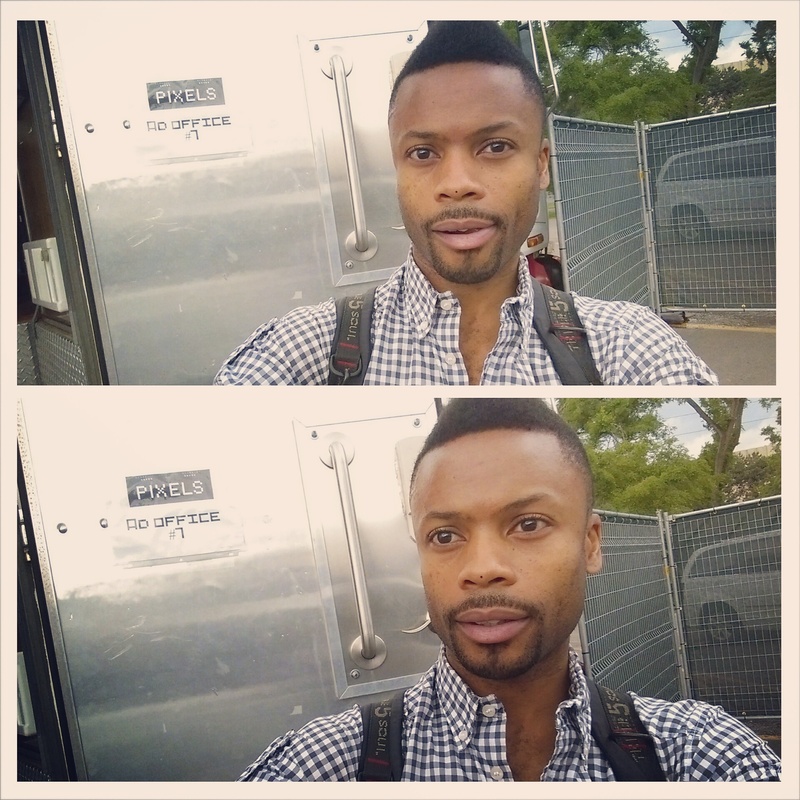 Remember that Black Canadian Award I was nominated for, and the event got postponed? Well it’s happening in two weeks! Gahhhh I’m so excited! 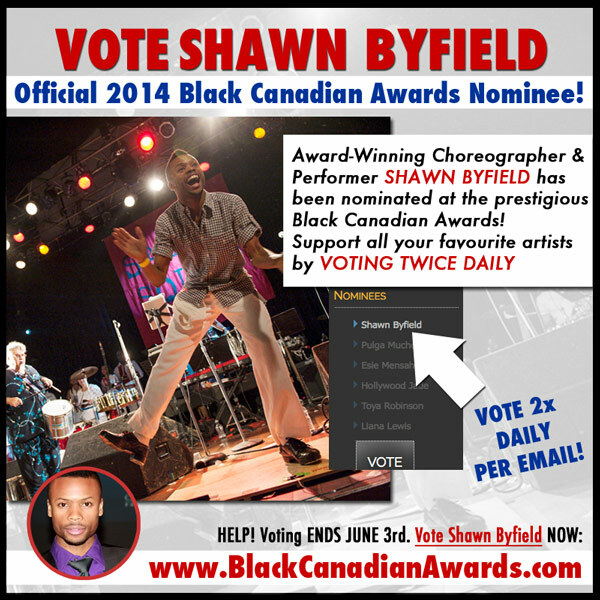 I’m one of only six dancers across Canada nominated for Best Contemporary Dance Act in the 2014 Black Canadian Awards. Not too shabby. It’s that time again! National Tap Dance Day 2014. And I’m having Toronto’s Official super-fun tap dance workshop to celebrate the date, this Saturday. If it weren’t for tap dance, you and I probably wouldn’t have met. True story.